Good Monday Morning to all of you! WestJet has seen a great response from Rewards Canada readers for our Exclusive Advance Notice: Earn up to $150 Bonus WestJet dollars flying to/from Abbotsford, Halifax or Hamilton offer from last week! A big thank you must be passed along to all of you from Rewards Canada! This is exactly the type of response we hope for so that we can continue to bring you exlcusivities like this! If you haven't registered for the bonus yet be sure to click to the post above and register. 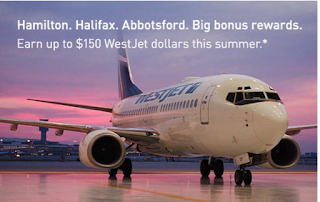 WestJet Rewards: Double WestJet dollars on routes to/from select cities in British Columbia. 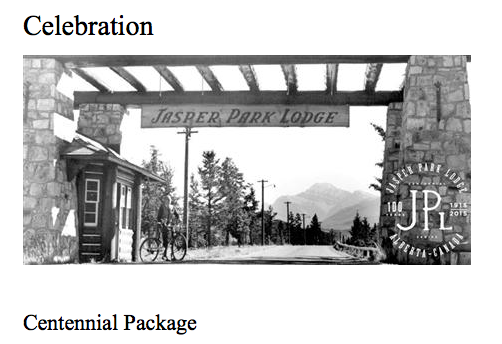 The Fairmont Jasper Park Lodge is celebrating its 100th Anniversary with a Centennial Package that includes a $100 resort credit per night. When we tried out some dummy bookings we saw the offer priced out $50 higher than the best available rate which means you would be saving $50 by taking into account the credit. This offer is available until the end of the year. Find out more here.